Eric Naughton’s foundation in the lighting industry is anchored with his bachelor of science from the University of Colorado, School of Architectural Engineering, Illumination Engineering program. For the last twenty-five years, his career focus has been in the architecture and building industries. Eric’s blend of experience working as an electrician, as a lighting engineer for a daylighting architecture firm, as an electrical engineer for an MEP firm, and as a project manager for a Fortune500 Company, provides him with a unique skill set to provide architectural lighting design services. Eric is a current member of the International Association of Lighting Designers and current holder of a Colorado Residential Wireman’s License. Electrical Logic is a Colorado corporation located in the heart of the Rocky Mountains in the scenic mining town of Crested Butte. The company was started in 1998 by Read Hunker, borne out of his twenty years of designing electrical and lighting systems as an electrical contractor. The company was acquired by Eric Naughton in 2007, after he and Read worked together for four years. 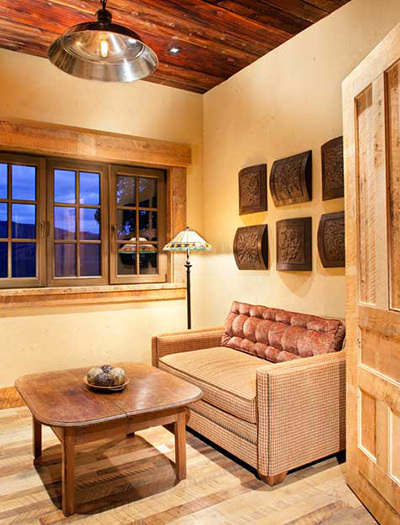 Electrical Logic is an architectural lighting design company based in Crested Butte, Colorado that specializes in residential and commercial projects. Creative lighting has the ability to visually enhance any space. Light is a powerful tool that can invoke emotions and reinforce spatial awareness while highlighting architectural elements. Good lighting design is a combination of art and science and provides aesthetic value to our environment by revealing the world around us. Electrical Logic is committed to producing a design that enhances the client’s experience in their personal living space.